Our newsletter - March 2017. Vancouver Island, like much of B.C., has seen some unusually cold and snowy weather this winter. Nothing as compared to our Mid West but for us less hardy folk on the West Coast this has been a cold winter. Just before the first of the big winter storms hit with its full force, Sue & I together with Finn, our mischievous Kerry BlueTerrier, made a trip up island to replenish some much-needed work from our artists. First stop was to Bob Held’s glass studio in Parksville. The warmth of the glass kilns was welcome as the snow was already quite deep. The day previously the delivery of raw glass had to be cancelled as the truck could not get near Bob’s studio. However, we collected some beautiful new work examples of which you can see below. 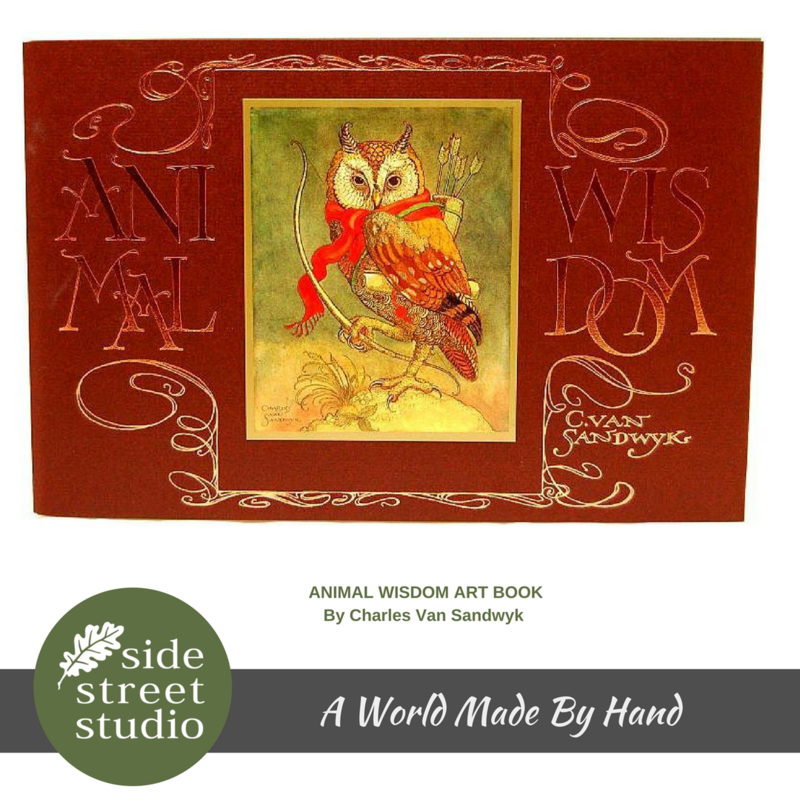 Next, we moved onto Charles Van Sandwick’s studio in Qualicum Beach. Charles being sensible was away enjoying the sunshine of Fiji but his partner was there with our order ready and waiting. For the first time on the trip, we needed to use 4 Wheel drive in our 4-Runner as the ice and snow were so deep. A first for Qualicum Beach? The visit was well worth the effort as we managed to collect some new prints by Charles as well as lots more greetings cards and copies of his magnificent books. 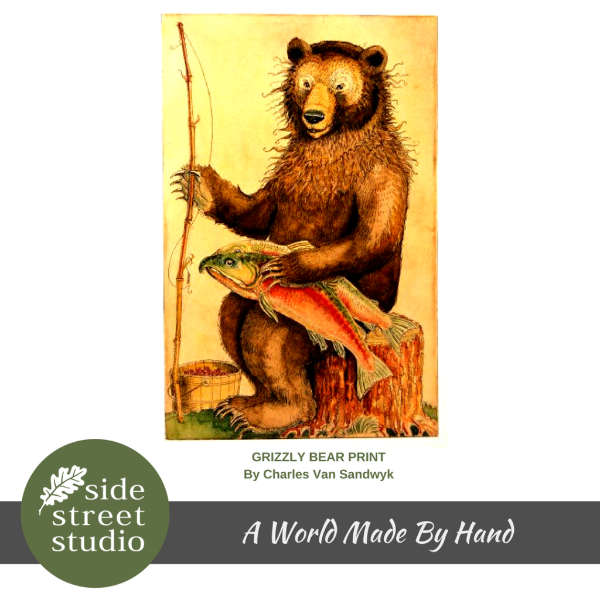 The Print of the Grizzly Bear from Charles’ Canadian Content Book - is particularly noteworthy. Then it was on to Whiskey Creek (what a great name) to visit Darrel Hancock’s studio. A mug of tea was greatly welcome as was the warmth of the kiln. Darrel had a large amount of work ready and packed for us to replace that from sales at Christmas. New teapots, mugs by the case load, terracotta butter dishes and bowls and more. At this point, we needed to move quite quickly as a storm cloud, as dark as night, was rapidly approaching with a new and even heavier fall of snow. We made it back just ahead of the storm….something out of a Hollywood movie (“Twister” comes to mind!). Fortunately, we had pre-paid tickets for the Mill Bay Ferry and so just escaped the dubious journey over the Malahat. We hope that you enjoy the images of some of our artist’s new work and as a thank you please find below a small sample of our appreciation. A 10% discount off any item from our studio. Valid until 31st March 2017. Online sales only. One order per customer. One use only. 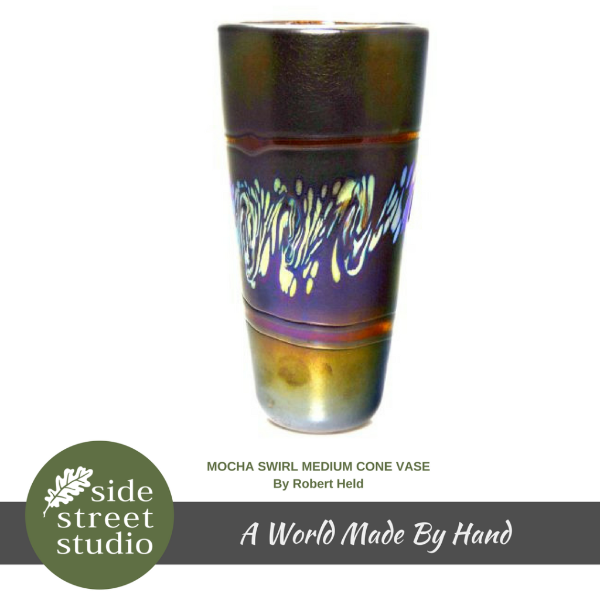 PS: Did you know that you can Buy on Line and Pick Up in the Studio. 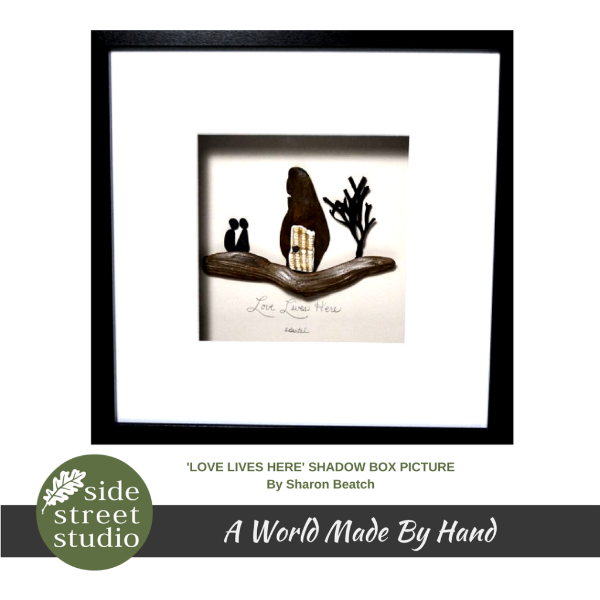 Excellent for saving on shipping and a good way buy for friends and relatives who live near the studio. Did you know that as well as visiting our studio in Oak Bay Village you can search our web site for any of our artists’ work? This can be really convenient for busy people as you can find the perfect gift for yourself or for your partner or family & friends at your leisure. 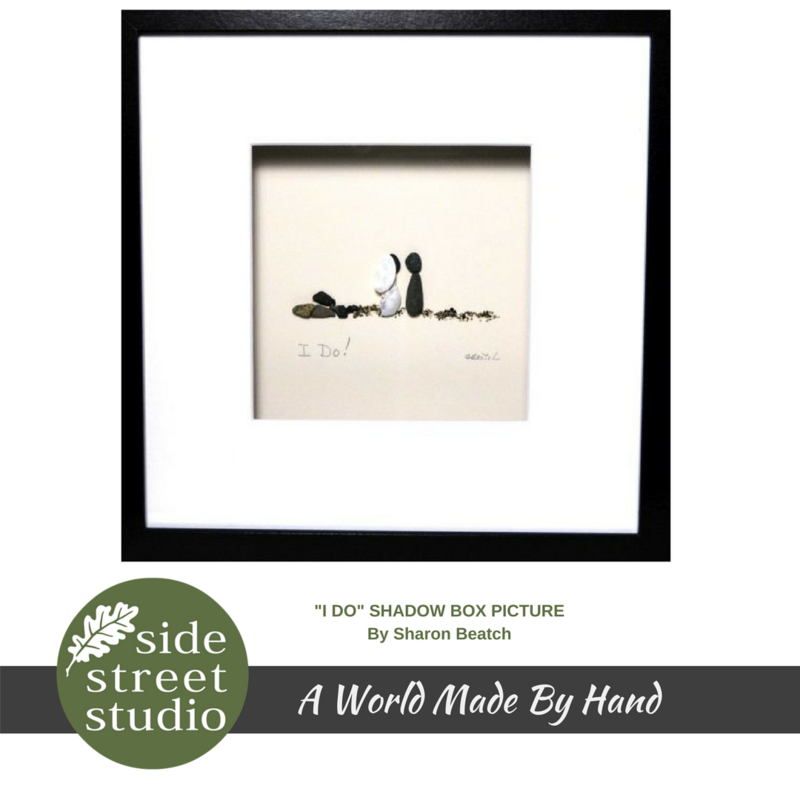 You then have the options to buy on line and have your item shipped or you can choose the ‘In Store Pick Up’ option and your gift will be ready for collection at the studio within 24 hours.This of course saves any shipping cost! Please remember to bring in your Government I.D. I have just tried this new product from Sharon of Kama Soap and it is excellent! 100% plant based with essential oils.The clay and the different oils in the base of the soap; sweet almond and castor oil, make a creamy smooth lather for shaving. Picture Perfect Oak Bay - New Video. Picture Perfect Oak Bay. 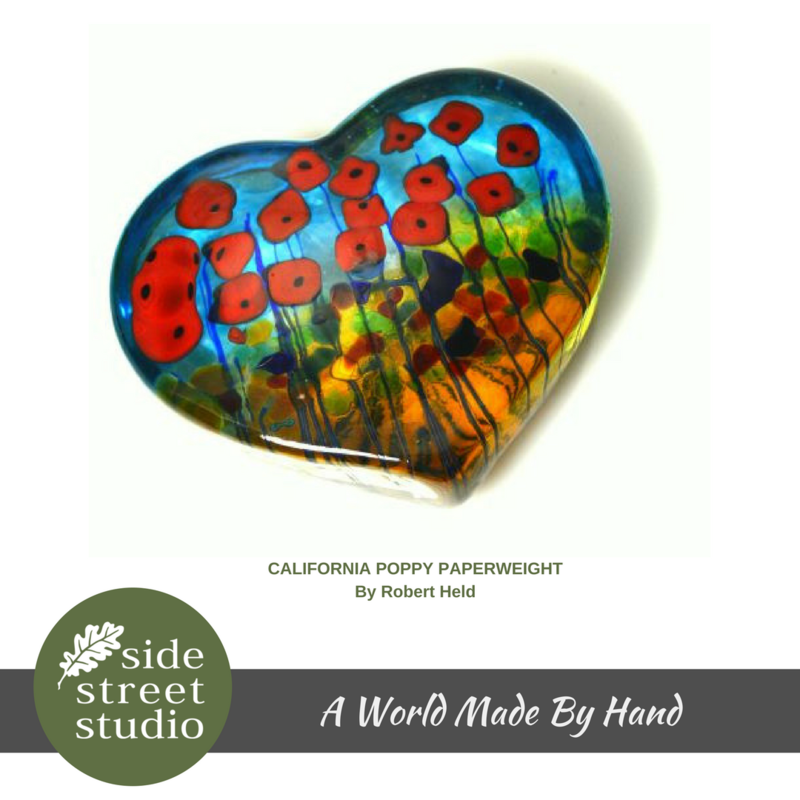 This is where Side Street Studio is located We look forward to welcoming you to our beautiful village! Darrel Hancock was born in Port Alberni and lived there for four years before moving to the mainland. 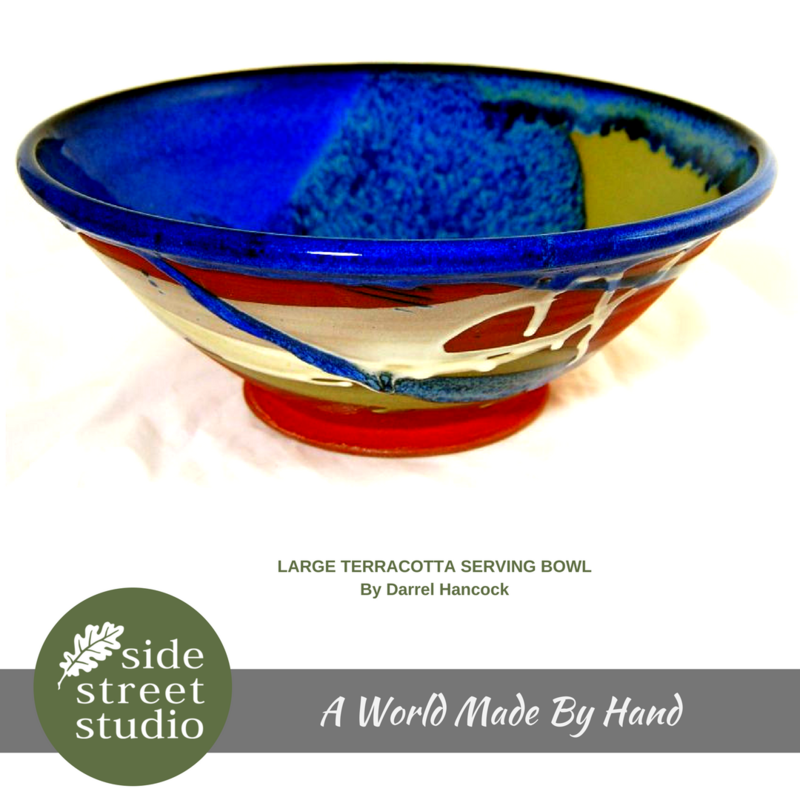 Darrel went on to graduate from the Vancouver School of Art, majoring in ceramics, and has been making functional pottery ever since. 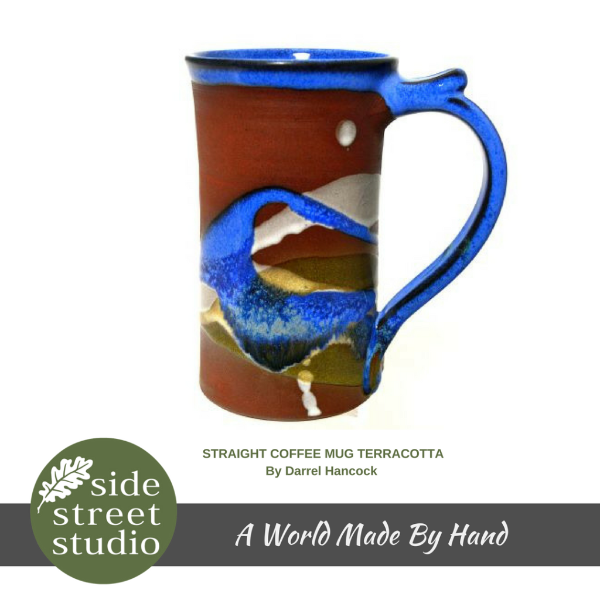 “My mugs come in a variety of sizes and shapes and also a variety of colour combinations. I make all of my pottery in a number of glazes and I will continue to do so, this way my customers can add to their collection now and in the future. He hopes people who purchase his pottery get from it what he puts into it. "I speak to a number of people who say they start off their morning with a cup of coffee in one of my mugs and they look forward to that every morning, and I think that's great, that's why I'm doing it,” he said.